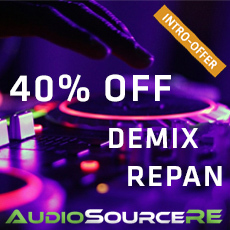 DeMIX Essentials offers advanced sound isolation algorithms combined with an intuitive workflow. Quickly separate vocals, drums, and other instruments. Explore new possibilities for remixing, sampling, or a-cappella and backing track creation. Mute the lead vocal, solo instrument or drums to play along with your favorite artists or study the nuances of their separated performances.